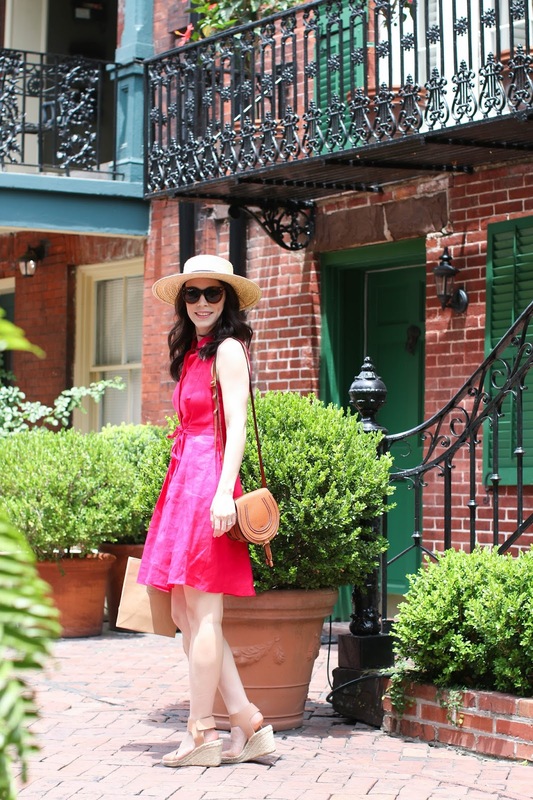 I'm sure if you have been following my blog for awhile you know I am not a big pink lover. Nothing against the color, but I have never been drawn to wearing it. However, I came across this dress while shopping in Savannah and I loved it! It came in this adorable popsicle print, but that was sold out in store so I grabbed the hot pink one and headed to the dressing room. I was shocked at how much I loved it and the style was super flattering. Finding dresses in the summer that I can still wear a decent bra with is not the easiest task, but this one was perfect. And the tie in the front helped to give it a great shape while the a-line style of the skirt made it very comfortable for walking around. I rarely shop in Anthropologie because their items are hit or miss with me, however I am really loving a ton of pieces from this season's selections - I linked all my favorites in the widget below. 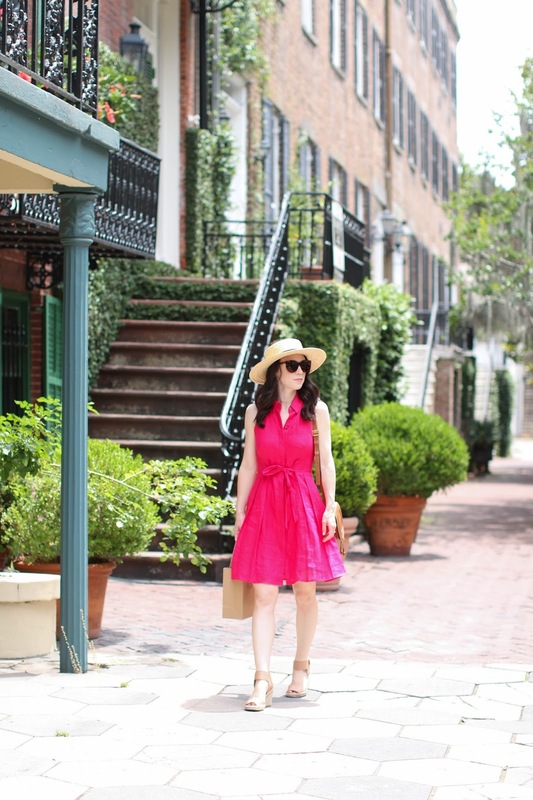 Of course I can't end the post without discussing the amazing backdrop for these photos - Savannah is the most picturesque city. 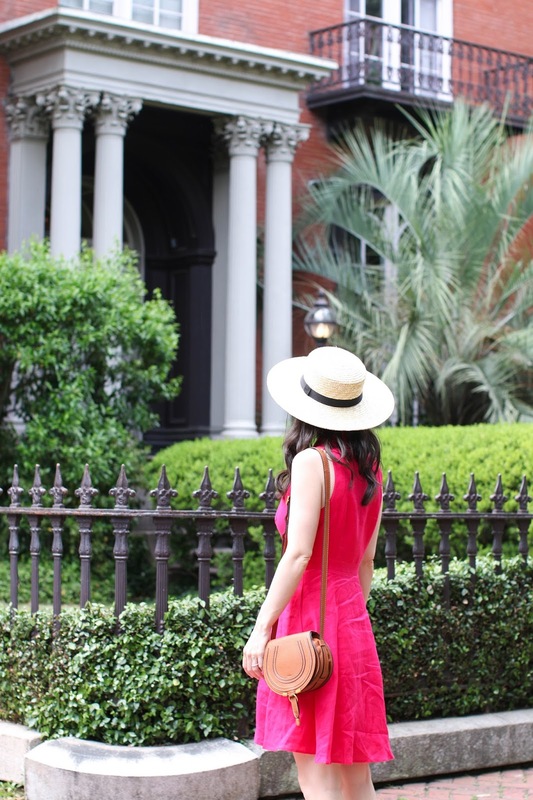 We spent the day wandering around Forsyth Park, shopping along Broughton street, strolling along Jones Street and stopping along all the Historic Squares to admire the amazing homes surrounding them. 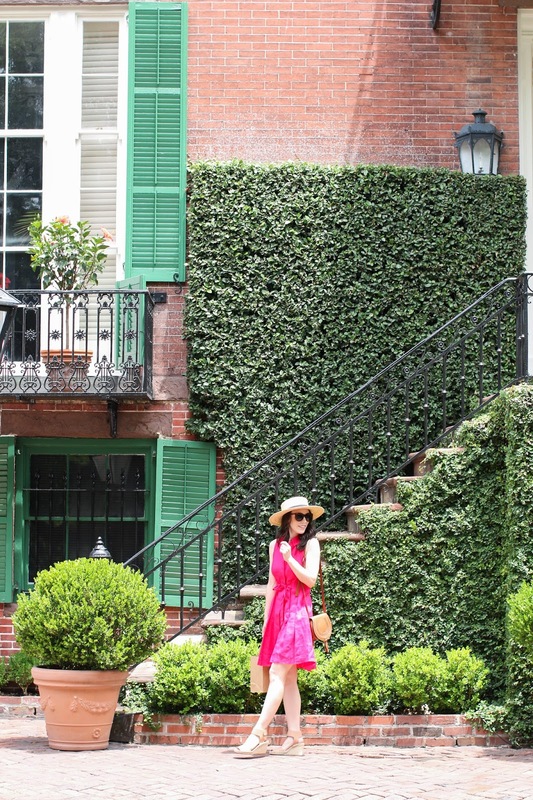 The last photo above was taken in front of the Mercer-Williams Home which was made famous by the book "Midnight in the Garden of Good and Evil". I have not yet read the book, or seen the movie but after visiting the home and seeing how popular it was for tourists to visit, I plan on reading it when I get back home! 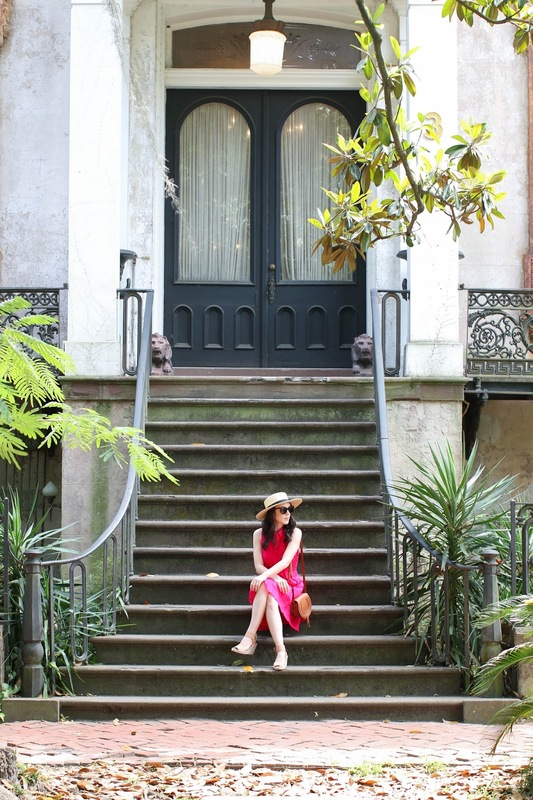 Stay tuned for my New Orleans travel diary that will be up this week, followed by my Savannah one shortly after. We are currently in Charleston, SC so if you have any recommendations - please send them my way!